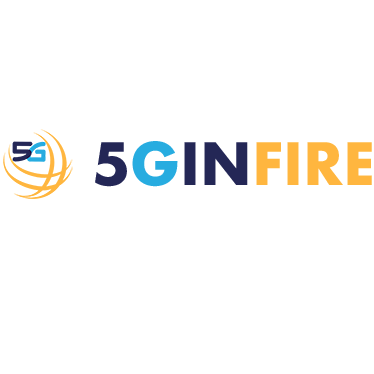 The main technical objective of 5GinFIRE is to build and operate an open and extensible 5G NFV-based reference (Open5G-NFV) ecosystem of experimental facilities that not only integrates existing FIRE facilities with new vertical-specific ones, but also lays down the foundations for instantiating fully softwarized architectures of vertical industries and experimenting with them. The initial instantiation of the Open5G-NFV ecosystem was targeted to the automotive vertical industry requirements, addressed across state-of-the-art 5G infrastructures. However, it is as generic as possible in order to host other verticals applications. In alignment with the overall project objectives 5GINFIRE is organising a competitive open call targeting external organisations, including industry, SMEs, research institutions, and academia, interested in performing experiments on the top of the infrastructure provided by 5GinFIRE. In order to further improve the 5GinFIRE ecosystem and add new needed functionalities for experimenters, the open call mechanism is used to involve third parties, which are able to provide the needed additional infrastructures and functionalities. Invite open source developers to provide missing functionality that is necessary for the lifecycle management of infrastructure components that enable virtualised infrastructures (call identifier 5ginfire-1-inf-a-2). Invite designers and facility providers of other verticals to take advantage of the 5GinFIRE toolsets, facilities and best practices, and integrate new experimentation infrastructures / testbeds in the 5GINFIRE portfolio (call identifier 5ginfire-1-inf-b-2). Total of 375,000€ for proposals in Category 1 is available for this Open Call. Total of 180,000€ for proposals in Category 2-a is available for this Open Call. Total of 250,000€ for proposals in Category 2-b is available for this Open Call.  All proposers must contact the 5GINFIRE consortium and elaborate their intentions in order to verify the feasibility of the proposals to be implemented in the scope of the 5GINFIRE project and to receive a first feedback on in the proposal planned activities.  Proposals will only be accepted from a single party eligible for participation in EC H2020-projects.  Proposers’ organizations can submit multiple proposals, but only one proposal per (sub-) category and per single organization (in total maximum two proposals from a single organization) might be selected for funding in this Open Call.  The proposal has to be submitted in English language through the 5GINFIRE submission tool by using specific proposal template (both available on the 5GINFIRE website https://5ginfire.eu/). 5G network infrastructures and embodied technologies are considered as a key asset of this emerging common environment and instrumental for the digitalization of the traditional industries, so-called vertical industry application sectors. Addressing these key questions, the main 5GINFIRE goal is to build and operate an open, and extensible 5G NFV-based reference (Open5G-NFV) ecosystem of experimental facilities that not only integrates existing FIRE facilities with new vertical-specific ones but also lays down the foundations for instantiating fully softwarised architectures of vertical industries and experimenting with them. The initial instantiation of the Open5G-NFV ecosystem will be driven by the automotive vertical deployed across state-of-the-art 5G infrastructures, however, it will also be as generic as possible in order to host other verticals. In order to offer its testbeds to a wide community of experimenters, the 5GINFIRE project will organize at least two open calls for experiments to be implemented and executed on the top of the 5GINFIRE experimental infrastructure. Furthermore, the 5GINFIRE open calls will also seek for further relevant testbeds to be integrated within the 5GINFIRE experimental framework and offered to be used by the experimenters. The 5GINFIRE is, by design, a duality project that sets its overall technical objectives as a prerequisite for achieving a longer term strategic objective that aspires to resonate beyond its lifetime and act as valuable source of constant feedback. As such, it is indeed quite ambitious but at the same time pragmatic and feasible in identifying, building, and eventually specifying, a critical mass of technological components and optimal architecture designs. In order to guarantee architectural and technological convergence the proposed open, and extensible 5G NFV-based reference (Open5G-NFV) ecosystem of experimental facilities will be built in alignment with on-going standardization and open source activities, also targeted by other closely related programme activities such as FIWARE and 5G-PPP to name a few. Accordingly, the Open5G-NFV FIRE ecosystem may serve as the forerunner experimental playground wherein new components, architecture designs and APIs may be tried and proposed before they are ported to more industrially “mainstream” 5G networks that are expected to emerge in large scale. Specify Implement and Operate Verticals drawn from the Automotive Industry on top of the Open5G-NFV common experimental facility. Develop open source Management and Orchestration (MANO) functionality and toolsets for experimental architecture instantiation featuring automation of deployment process, orchestration and lifecycle management aiming at enabling truly Open Experimentation that fosters innovation. Accelerate the formation of an open European-initiated, global-reach, long-term sustainable community and liaise with other relevant initiatives to further the goals of this project. The 5GINFIRE experimental facilities - the available testbeds / infrastructures and experimenters tools - are described on the 5GINFIRE website (https://5ginfire.eu/).  Category 1: call for experiments to use the 5GINFIRE experimentation facilities, taking advantage of the provided testbed features such as SDN applications, VNFs and VxFs to test vertical applications. Priority will be given to experimenters that provide additional functionalities (VNFs, VxFs, ...) needed for the experimentation, which can remain in 5GINFIRE catalogue. For example, Core Network VNFs like open source PCRF (Policy and Charging Rules Function) or probes (potentially based on Wireshark but with dedicated plugins and the ability to be deployed through OSM) are expected but also VxFs which would be more at application level like a webRTC based video conferencing system or to support any further application in the automotive sector (call identifier 5ginfire-1-exp-2).  Category 2-b: Designers and facility providers to strengthen existing vertical (automotive, smart cities, health) or other verticals (e.g. from multimedia or manufacturing industries) to take advantage of the 5GinFIRE toolsets, facilities and best practices, and integrate new experimentation infrastructures / testbeds in the 5GINFIRE portfolio . Besides new infrastructures, the proposals under Category 2-b might include also provision of additional functionalities if appropriate (call identifier 5ginfire-1-inf-b-2). As a 3rd party, the proposing party needs to include an overview of the estimated costs in its proposal at the time of submission. Costs consist of personnel costs, direct costs (such as travel, consumables, etc.) and indirect costs. The costs of a 3rd party have to comply with the rules and the principles mentioned in Section I, Article 6 (Eligible and ineligible costs) of the H2020 AGA — Annotated Model Grant Agreement (see http://ec.europa.eu/research/participants/data/ref/h2020/grants_manual/amga/h2020- amga_en.pdf), in the same way as the beneficiaries, and must be recorded in the accounts of the 3rd Party. In other words, the rules relating to eligibility of costs, identification of direct and indirect costs and upper funding limits apply as well as to those concerning controls and audits of Section I, Article 22 of the H2020 AGA. To perform evaluations of the received proposals for financing the third parities through the Open Call mechanism, the project will involve independent experts, which cannot be part of the consortium and cannot evaluate proposals where a conflict of interest can be identified. For each of the received proposals, at least two assigned experts will perform off-line reviews independently of each other. Afterwards, consensus meetings for all proposals among involved experts will be held either as face-to-face or audio/video meetings, where a common opinion and rating will be built up for all the proposals. The last step in the evaluation process will be to create ranking among all received proposals, which will be done in cooperation with all independent experts involved in the evaluations. Integration of the proposals in the project plan will be done after final approval of the ranking by EC. Category 1: priority will be given to experimenter proposals providing additional functionalities (e.g. VNFs) which will remain in the public 5GINFIRE catalogue available to be used by other experimenters at least until end of the 5GINFIRE project. Furthermore, at least one proposal (if rated at the evaluation threshold as minimum) related to security and robustness of solutions will be accepted. o 2-b) Priority will be to include experimental infrastructures which are not present in the 5GINFIRE portfolio and further automotive oriented facilities as well as representing as diverse as possible vertical sectors. Evaluation of the received proposals, ranking, and decision on proposals to be funded will be completed until mid of October 2018. Proposals will only be accepted from a single party eligible for participation in EC H2020-projects. Third parties organizations currently involved in the 5GINFIRE project are not eligible for participation in this call. Proposers’ organizations can submit multiple proposals, but only one proposal per (sub-) category and per single organization (in total maximum two proposals from a single organization) might be selected for funding in this Open Call. The proposal has to be submitted in English language through the 5GINFIRE submission tool by using specific proposal template (mandatory) prepared for both Open Call categories. Access to the submission toll and proposal templates is available on the 5GINFIRE website https://5ginfire.eu/). All proposers must contact the 5GINFIRE consortium and elaborate their intentions in order to verify the feasibility of the proposals to be implemented in the scope of the 5GINFIRE project and to receive a first feedback on in the proposal planned activities. The requests for the feasibility check have to be submitted to contact@5GinFIRE.eu until 12 September 2018 at 17:00 CET (Brussels local time). The request for the feasibility check should contain a brief (e.g. one page) description of the proposal intention and mention 5GINFIRE facilities to be used if applicable. The contact e-mail address is archived. Once a proposal is selected, the proposer organization will be contracted by the project coordinator (Eurescom) as a 3rd party receiving financial support. This will require the signature of the agreement of which can be found as download on the 5GINFIRE website together with this call information. Agreements with the 3rd parties will be concluded until end of November 2018.  Before awarding any grants to a third party, it will be checked whether the third party is a legal entity with a history of at least three years of commercial operations, and has not been declared insolvent.  Any third party funding agreement will contain a clause ensuring that the European Commission and the Court of Auditors can exercise their powers of control, concerning documents premises and information, including those stored on electronic media. The experiments accepted under the Open Call category 1 will start the planned work in December 2018 and should be completed in May 2019. Start of implementation of new functionalities and inclusion of new infrastructures in 5GINFIRE - category 2 of the Open Call - will be in November 2018. The functionalities and infrastructures should be operational from March 2019, to be able to serve requests from the 5GINFIRE experimenters and ensure implementation of the experiments. The 3rd Parties accepted under the category 2 will remain active in the 5GINFIRE portfolio providing all necessary operational support at least until end of the 5GINFIRE project. The accepted 3rd Parties will need to attend at least one project meeting, where tutorial for the 5GINFIRE experimenters and functionality/infrastructure tutorials will be organized, and 5GINFIRE review project meeting if required by EC. The next 5GINFIRE tutorial is planned as one/1.5 day meeting between 19-23 November 2018 ( travel costs related to the tutorial are eligible costs for all accepted third parties, which includes also experiments starting the work in December 2018).